Make plans to visit Beachcoma, on Wednesday, May 28, 11:30 am-11:30 pm. 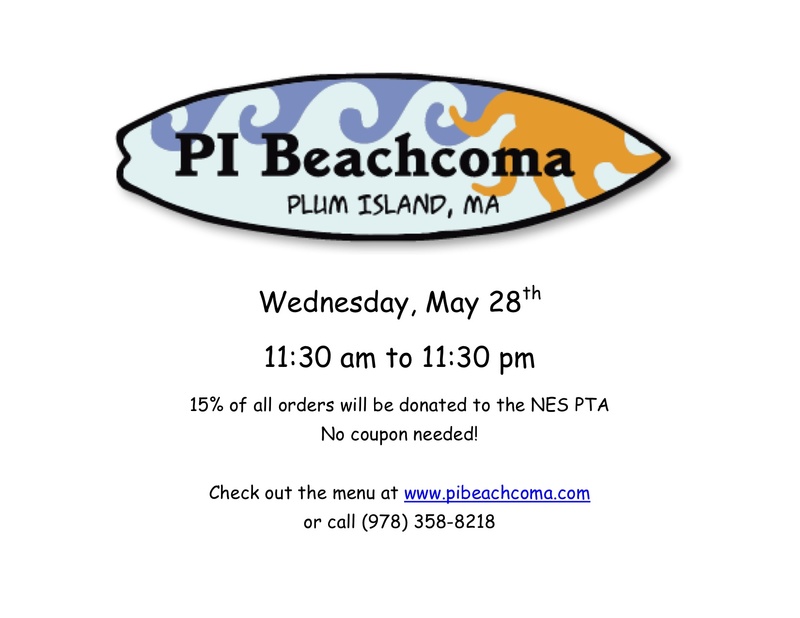 A portion of all sales that day will be donated to the NES PTA! No coupons needed!